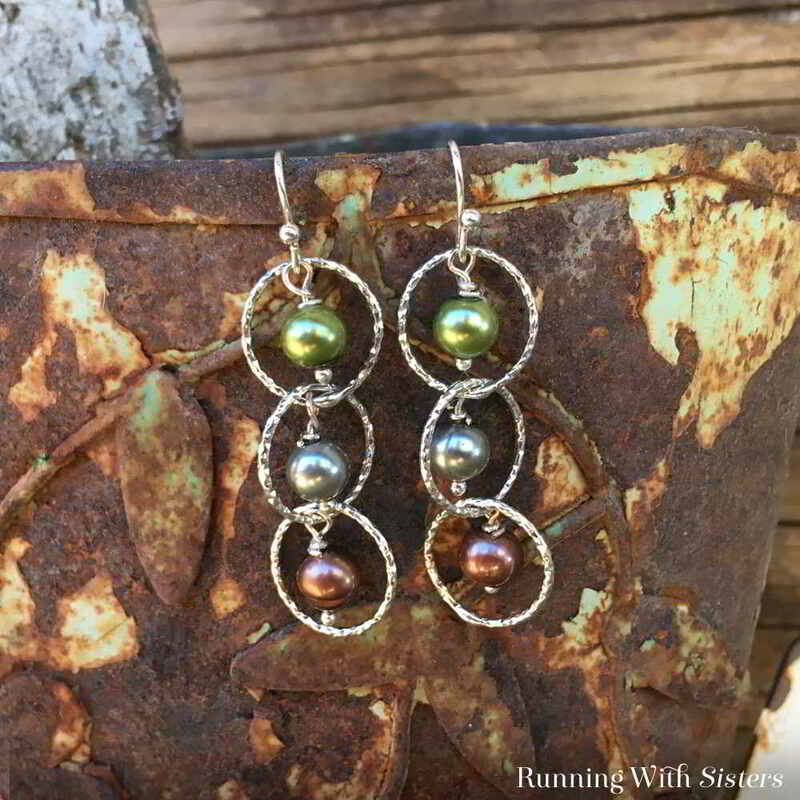 Make a dazzling pair of Cascading Pearl Earrings. 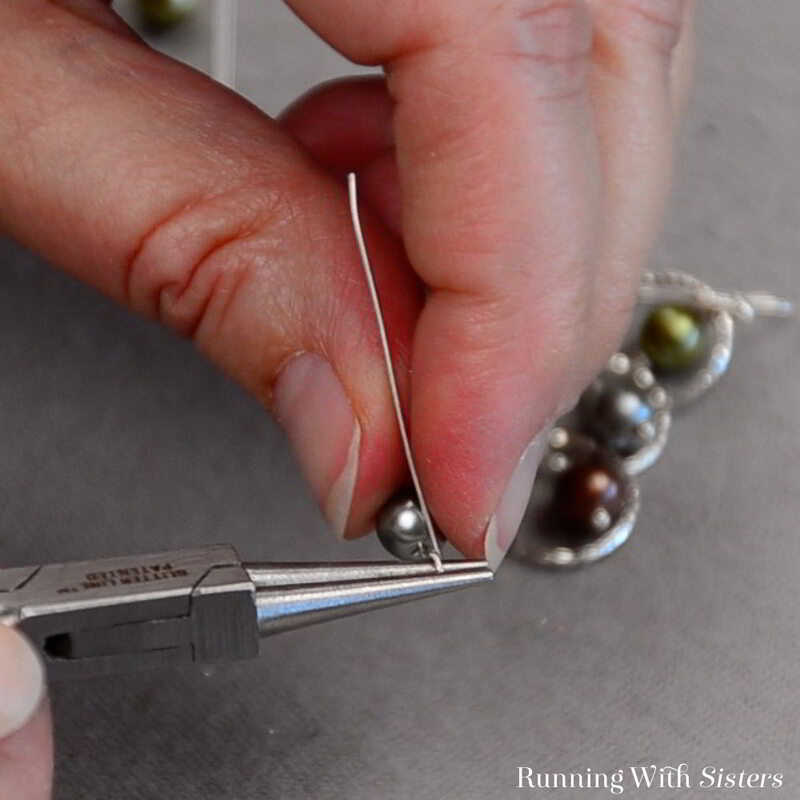 We’ll show you how to make the pearl dangles with this jewelry tutorial and video. These Cascading Pearl Earrings get their glam from the glistening silver links and their Boho feeling from the subdued colors of the freshwater pearls. We love the contrast! 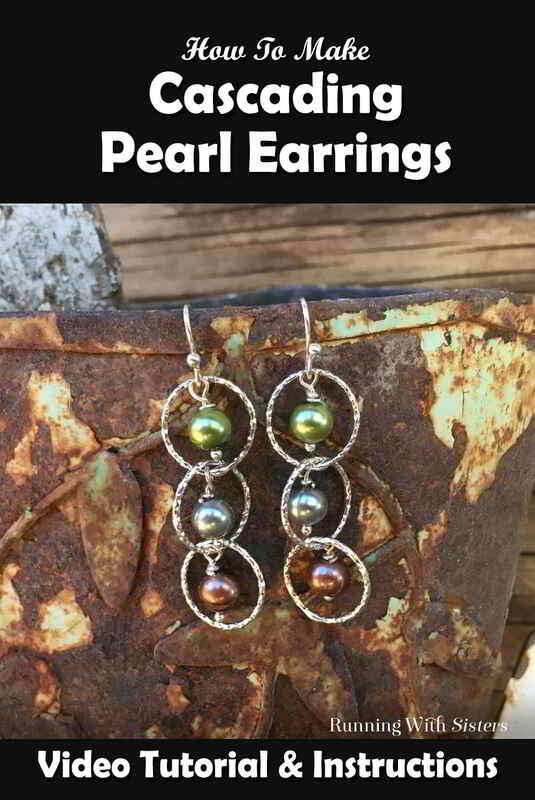 Here’s a video we made showing how to make the Cascading Pearl Earrings. You can watch it to see how easy these are to make, then use the video and the steps below to make your own. 1. 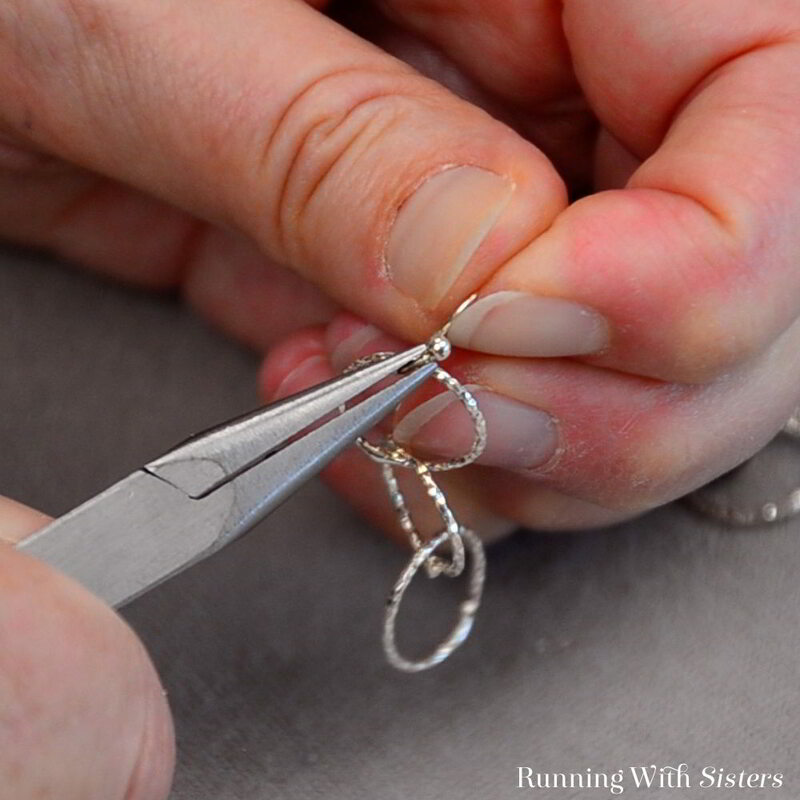 To make the earrings, start by cutting a piece of chain with three links. To do this, count out three links then cut through the fourth link with the wire cutters. 2. 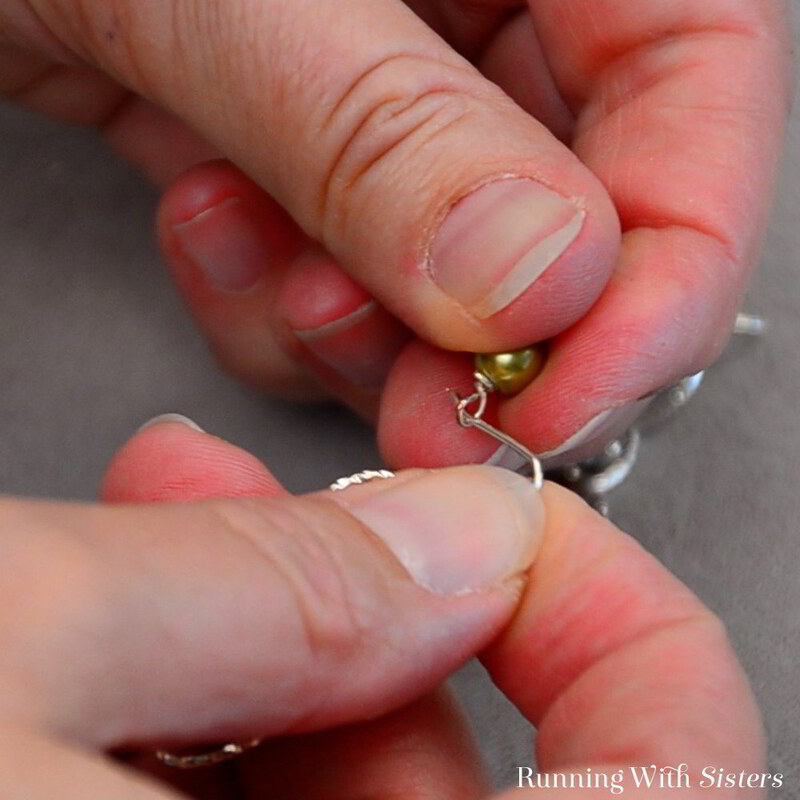 Attach the top link of the chain to the earring wire by sliding it into the loop of the earring wire. 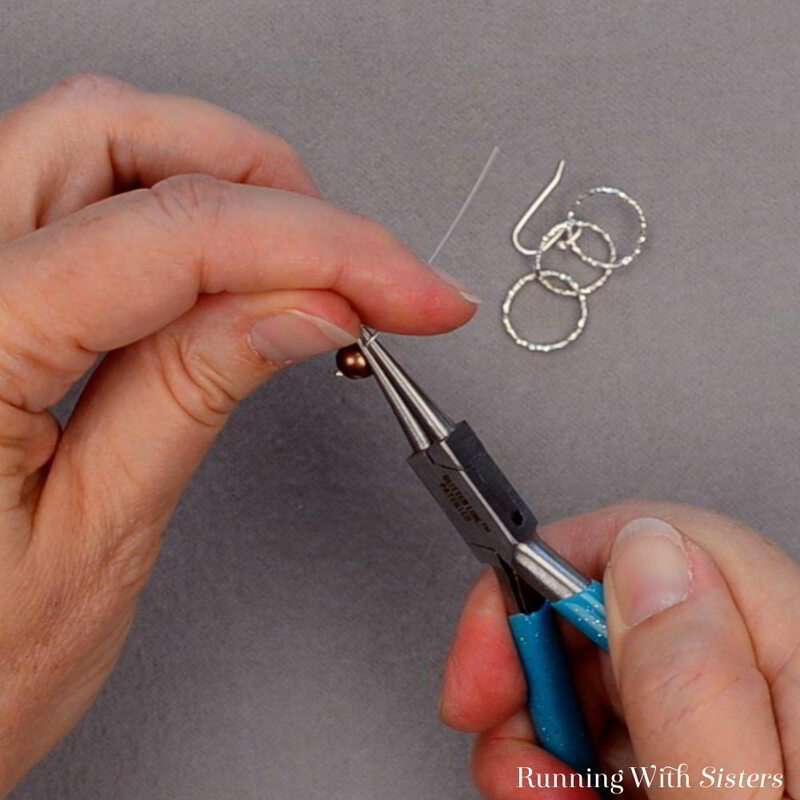 Press the earring wire loops closed with the pliers. 3. Next make the bottom copper pearl dangle. 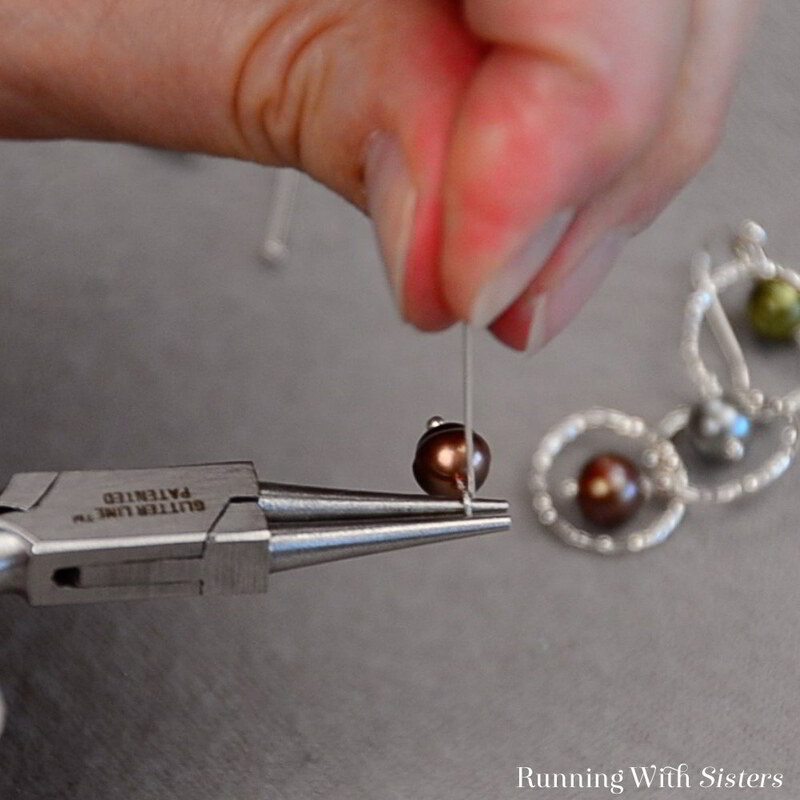 To do this slide one of the copper pearls onto one of the silver headpins. 4. 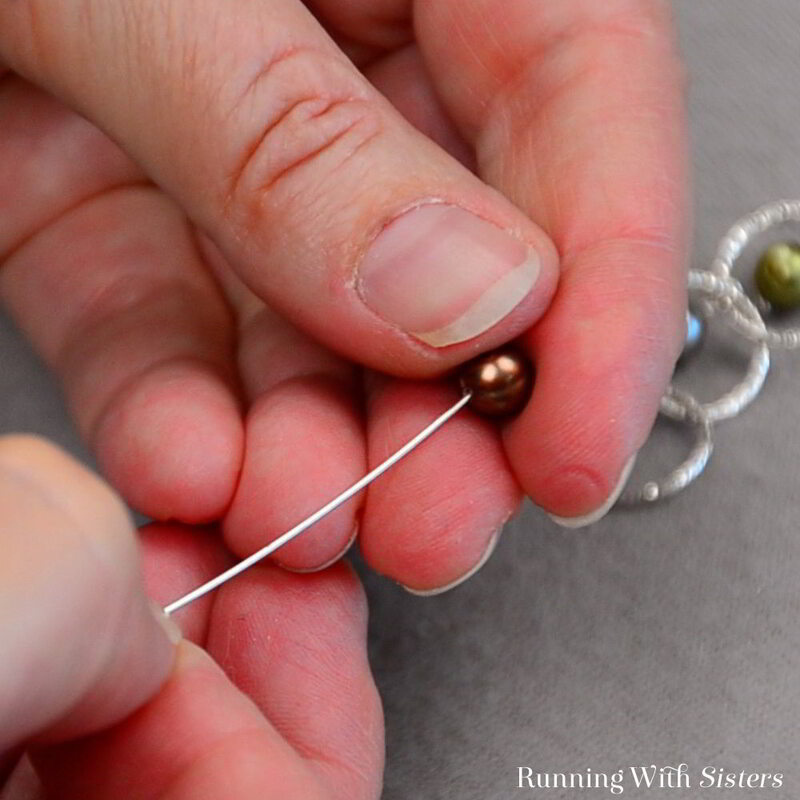 Make a loop in the headpin by grasping the headpin wire where it exits the pearl using the round-nose pliers. Take the tail of the headpin wire and bend it over the top jaw of the pliers towards yourself 90 degrees. 5. Next reposition the pliers to the top of the 90-degree bend. Take the tail and bend it over the top jaw away from you forming a partial loop. 6. 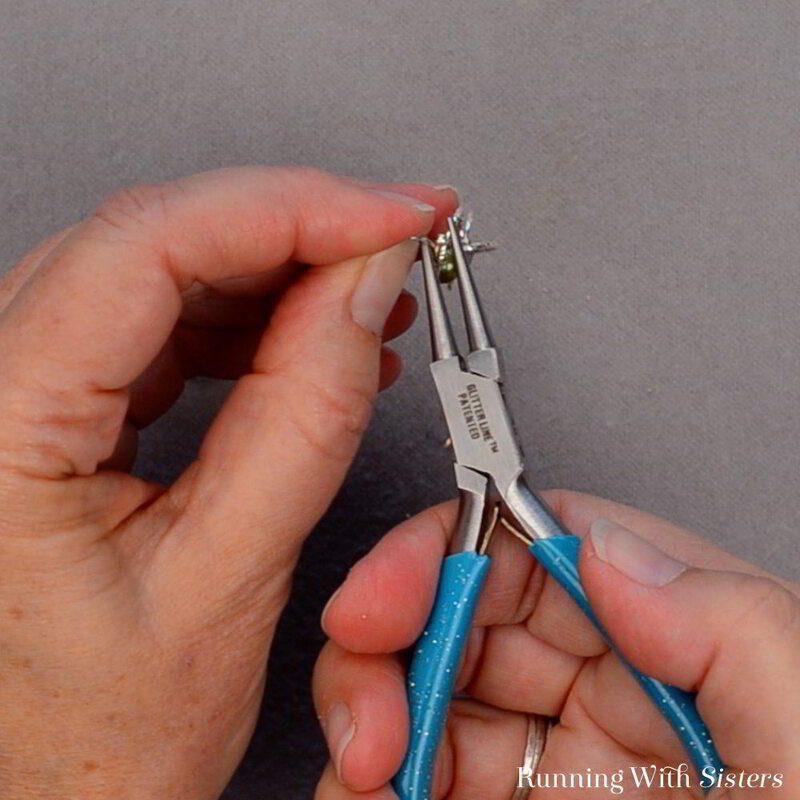 Remove the top jaw of the pliers from the partial loop and replace it with the bottom jaw. Pull the tail of the wire the rest of the way around to form a complete loop. 7. Slide the loop onto the middle link of the chain. This way it will hang down into the third or bottom link of the chain. 8. 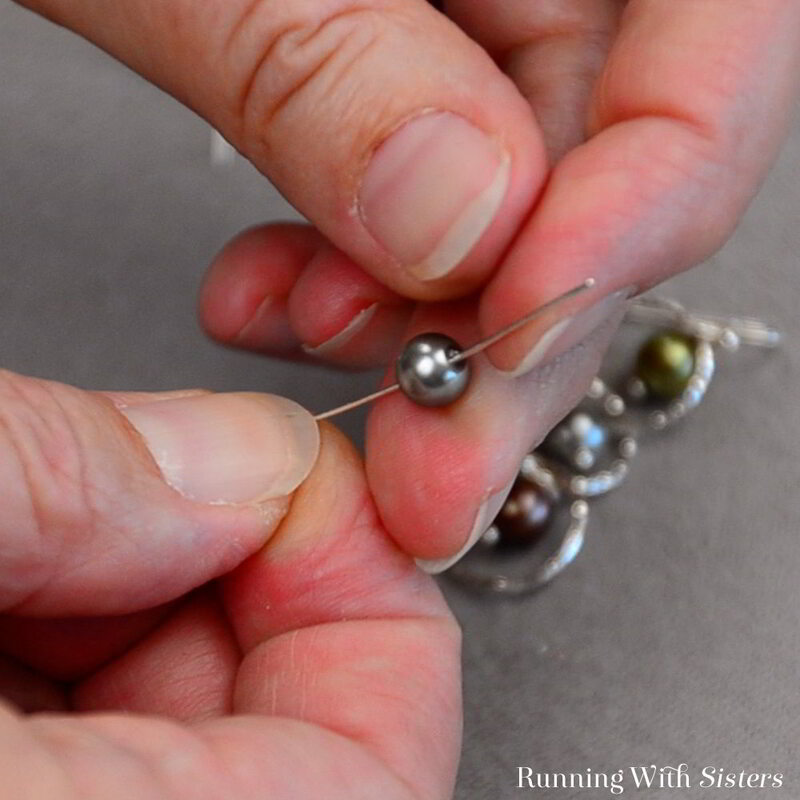 Grasp across the loop with the pliers and pull the tail around the neck of the headpin two times to wrap the loop and make it secure. 9. Trim the end with the wire cutters. 10. 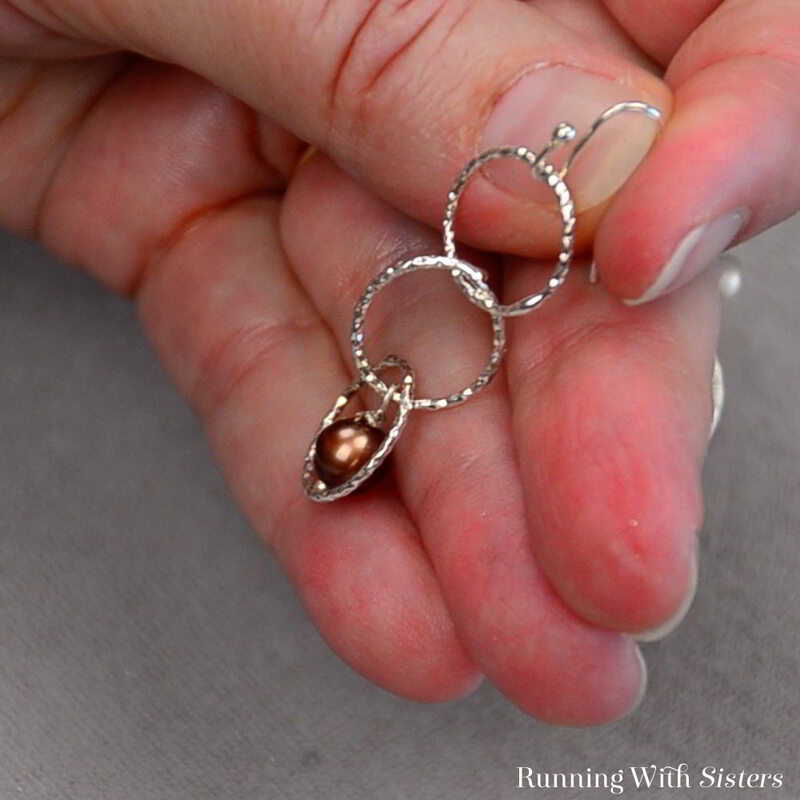 The copper pearl will hang from the second loop into the third. 11. Repeat to make a dangle with the blue pearl. Feed the pearl onto a headpin. 12. Make a loop in the headpin wire. 13. Slide the loop onto the top or first link in the chain. 14. Next make a dangle with the green pearl. 15. 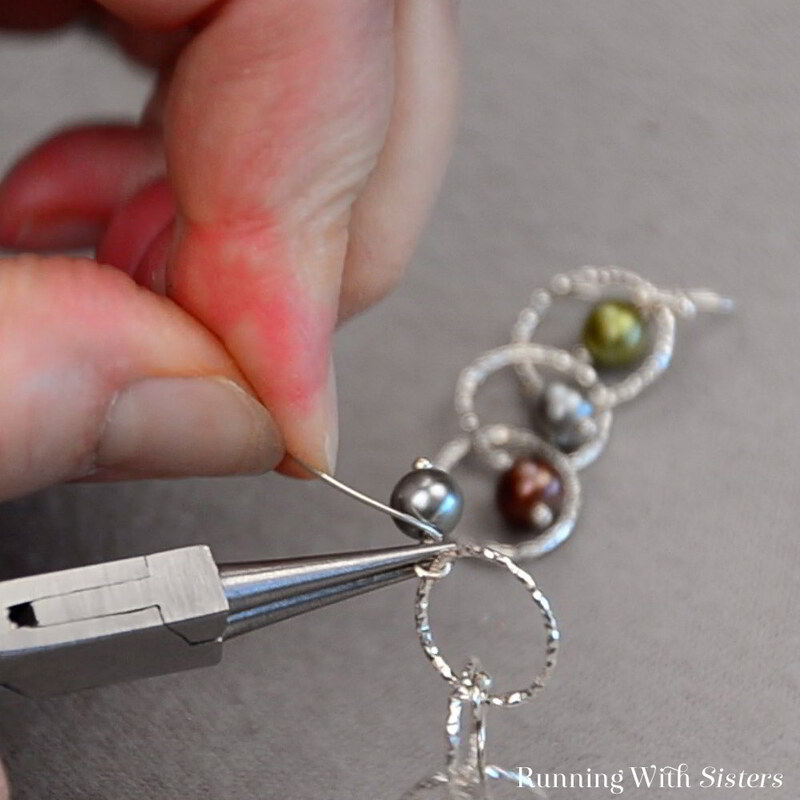 With this last pearl dangle, you can complete the wrapped loop without sliding it onto any part of the chain. Make the loop as you did before then grasp across the loop with the pliers and pull the tail around two times. Trim the wire. 16. Feed the green pearl dangle onto the earring wire nestling it into the loop on the earring wire next to the top link of the chain. 17. Press the loop on the earring wire closed. Repeat to make a second earring. How pretty are these?! 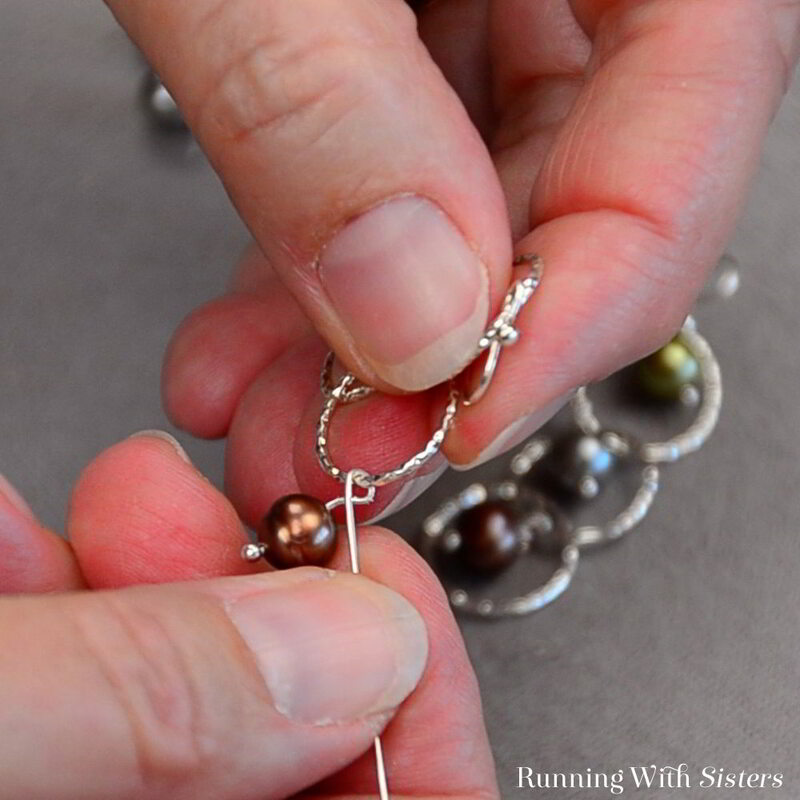 You can make them with just two links and two dangles if you want to wear them shorter. 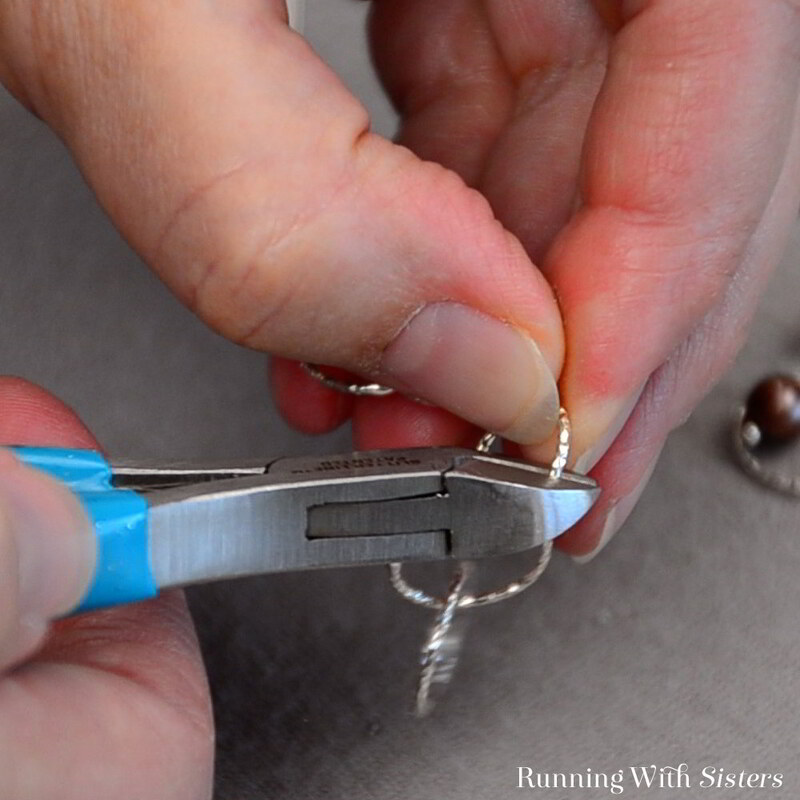 Or add a link and a dangle to make them longer.